We firmly believe that support, encouragement and involvement of parents and carers in the education and development of children is key to their progress and success during their time at St Philip’s Primary Catholic School, Arundel. Our partnership approach is achieved using a comprehensive mix of monitoring and recording children’s progress and keeping parents fully involved in that process, as well as informed of all events and occasions that are part of school life. A member of St Philip’s senior team can be found at the front of the school, welcoming children to the start of each school day. Children in Reception are greeted separately by their class teacher and/or assistants at the green gate which leads down to the Reception area each morning and handed back to parents/carers from here each afternoon. Year 1 children are collected from Pooh Gate at the end of the day and class teachers from Year 2 accompany their pupils to the front of the school at the end of the day, providing an informal opportunity for conversation. For up-to-date information, parents/carers should ensure they regularly check the whiteboard on the wall at the school entrance. This features information on activities within the school each day and also provides notice of forthcoming events, as well as seasonal advice, including weather warnings. The office staff are available throughout the day to handle enquiries, in person and by telephone, email or letter. You can also leave a note at the office if you would like to pass on a message to any of the school staff. The school also employs the latest technology to keep parents/carers informed. Text messaging is used to communicate reminders to return forms, for example, emergency information, such as school closures due to bad weather, and some personal communications, eg. to inform you that your child has a place on a school club. 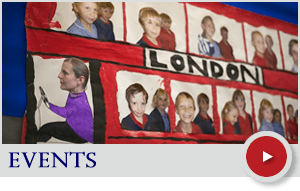 We also use ParentMail, a dedicated schools’ email system, to communicate information, including the regular School Newsletter, which contains news and details of events at the school, including term and holiday dates. Please ensure we always have your most up-to-date contact details. Although electronic communications have become more widely used, there continue to be times when paper-based methods are needed. Please ensure you check your children’s school bags regularly for information on clubs, trips and events and, in particular, for permission forms, without which children may not be able to participate in an activity. Pupils’ progress is monitored by continuous assessment and record keeping. We have two consultation evenings with parents during the year, as well as a written report issued in the summer term. Teachers work hard with pupils to achieve high quality work, and to help them reach their full potential. Parents are welcome to make an appointment to see the class teacher or head teacher whenever necessary. Likewise, the school will request an appointment with parents if there is a concern regarding a child’s progress. 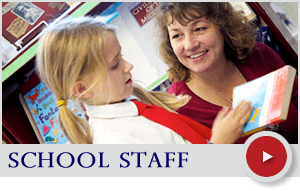 All our staff place the welfare and development of every child at the core of everything they do. However, we recognise that on occasion a parent or carer may feel the need to raise an issue concerning their child. Your child’s class teacher should be your first point of contact, unless they are the subject of your concern. The best method to contact your child’s teacher is by leaving a note for them with School Office. We will then ensure that an appointment is made for a telephone call or a face-to-face meeting. If the class teacher is unable to address your enquiry to your satisfaction, you should then approach the Head Teacher. All our governors welcome feedback from parents regarding the operation and management of the school. While some governors are parents and may welcome an informal approach while dropping off or collecting their children, we would encourage parents/carers to contact governors through the school office. Complaints of a general nature should be addressed first to the class teacher and then, if necessary, to the Head Teacher. If the Head Teacher cannot resolve the issue, or is the subject of the complaint, it would be appropriate to write to the Governing Body. Your letter should be addressed to the Chair of Governors via the Clerk to Governors at the school. If the Governing Body cannot resolve the complaint, it may be referred to the Local Education Authority or Diocese. The Governors and Clerk may be contacted via the School Office. Parents wishing to raise concerns about the school curriculum or related matters should contact the Class Teacher in the first instance followed by the Head Teacher if necessary. If the problem cannot be satisfactorily resolved, the written procedures for formal complaints are available from the school office. 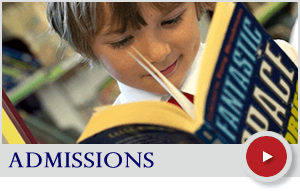 Parents are able to have access to curriculum documents, the governors’ annual report, OFSTED reports and statutory instrument and other school documents as appropriate by lodging a request at the School Office.